as i had complained in the first part of this series, english is rather hard to come-by in mostly mandarin taiwan. i don't know whether this is the reason that taipei doesn't get as many non-chinese visitors as say singapore, hong kong and macau, or a result of it, but things may get a bit complicated for non-chinese speakers. i don't fault them really. i don't insist that everyone should be able to speak english. they could insist that i learn their language. but then there is an infinite number of languages in the world, and i could only learn so many. nevertheless, there were instances that the barrier was as solid as rock, that i didn't even attempt to overcome it. so instead, i just went elsewhere, sad and frustrated, particularly in the area of food. 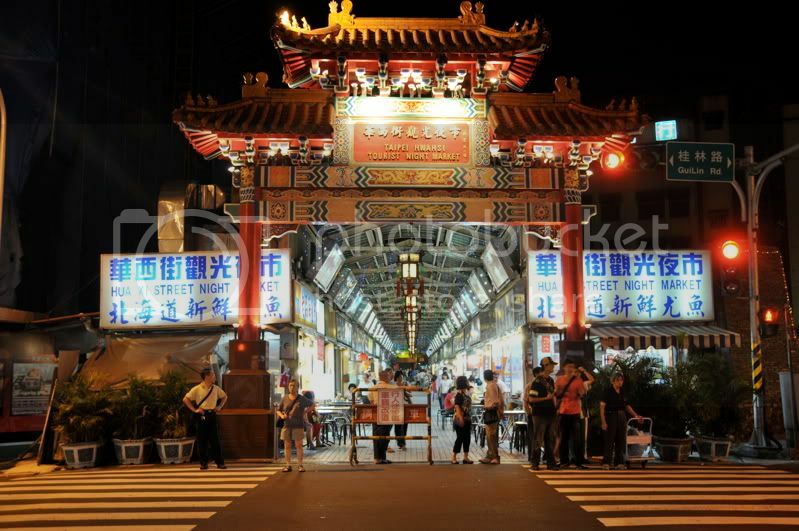 taipei has many interesting nooks and crannies offering what seemed like interesting food. the city gives the notion of hole-in-the-wall an entirely new face, because in taipei's case, it looks like a wall grew on the holes. and with such a rich selection of places to eat to choose from, i was rather overwhelmed. i am happy to note that on this particular trip, as in most of my trips, i managed to avoid run-of-the-mill western fastfood factories and dined at places where the locals eat. 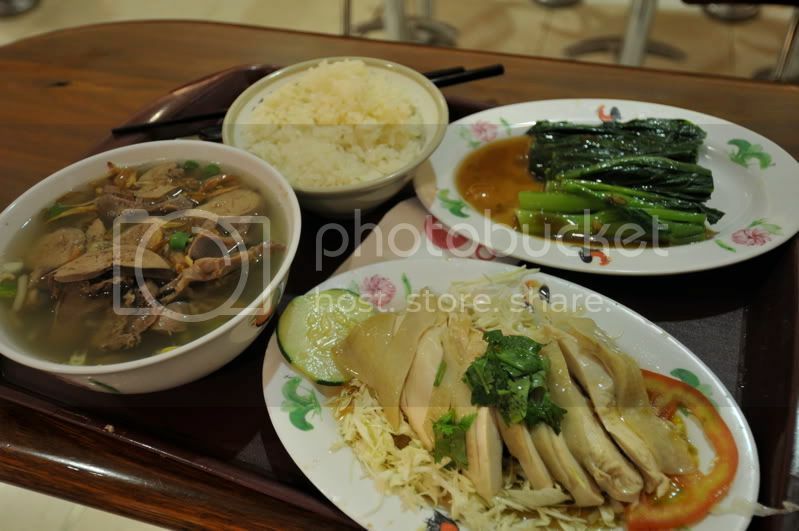 i have this idea that travelers, unlike tourists, risk many things, such as tummy trouble, to savor on the local flavor. so i went where the locals went. the frequent issue, however, is that not many of these delightful, small spaces with their many customers on queue have menus in english. often, i would walk into a place and look around. something in chinese is written with numbers. i would assume this is the selection and their corresponding prices. but when i'd ask: english: they smile and shake their head, and i would walk away with disappointment. but there are other places where english was not spoken, but the barrier wasn't as pronounced. when i said the magic word: english, they'd present me with a secret menu written in english! or in other establishments, such as in bangkok, the restaurant is covered in pictures! how convenient. 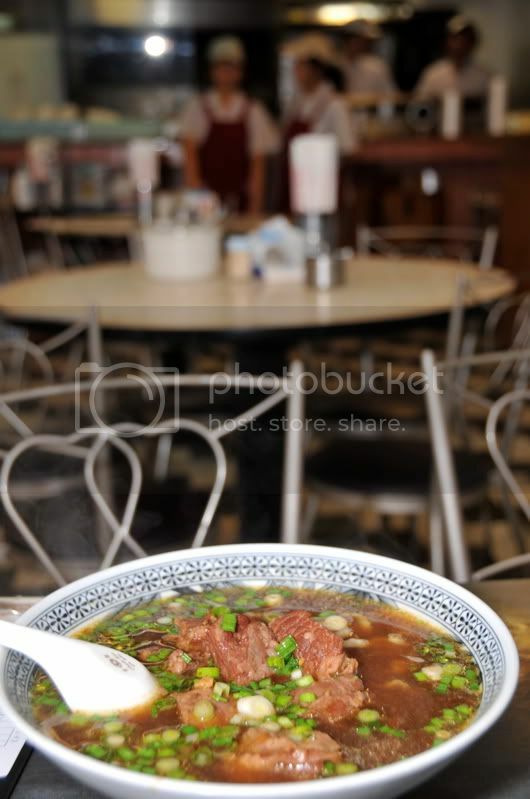 so i just point at a photo, and in a matter of moments, my food is served. often, it isn't a picture that i point to, but someone else's dish, or the poultry or meat that's hanging behind the glass door. so i've given the concept of "turo-turo" an entirely new dimension, and imported it to taipei. some of the more memorable things that i sampled in taipei is the xiao long bao. even before i left, jon remarked about how good this shanghai recipe is, and that taiwan's version is particularly well-known. on my first night, i walked into a restaurant, looked around, and asked: xiao long bao? the server nodded and came back to me with a basket containing six dumplings. i was given chopsticks and a soup spoon. i didn't know at the time if there was a "proper" way to eat the dumplings (and later, i would find out that there is, complete with illustrations), but maybe it was some internal logic, superior intelligence, or experience from watching one too many kung fu movies (way back in 1997, this is the reasoning i gave 2 chinese singaporean friends who asked me if i had studied the correct use of chopsticks, because they said i was the first non-chinese they've met who used them properly) that instructed me on how to attack the food. nevertheless, i found my first encounter with this much ballyhooed taiwanese delight to be less than impressive. i found the dough to be rubbery, and the dipping sauce to be ordinary. the stuffing itself wasn't anything to write home about. it was so unimpressive i didn't even bother to take a picture. and i mentioned this to a friendly taiwanese bar owner and he enthusiastically recommended that i find this particular restaurant downtown: din tai fung (he'd written down: din tai phon, again showing that there is no standard in the romanization of chinese names). he wrote down the address on a piece of paper which i would show the taxi driver (as the MRT along xilin ave. is still under construction, and it's a bit of a distance from the nearest one). so the following day, i went off for an early lunch to this well-known destination. i was greeted by a receptionist on the sidewalk who had a radio strapped on her ear. 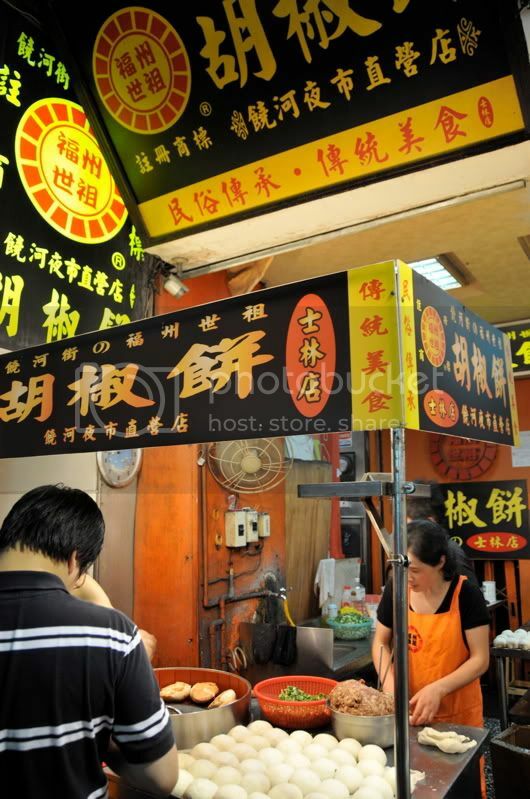 a menu was displayed outside, from which it seemed that the restaurant's frontage was no more than 10 meters across. but the upstairs floors are much wider. i came just after they had opened, and already, it was nearly packed. my waitress, who wore a suit matched with a short skirt, spoke really good english and made special concessions for me and made suggestions. i ordered the traditional xiao long bao, and two other dishes. 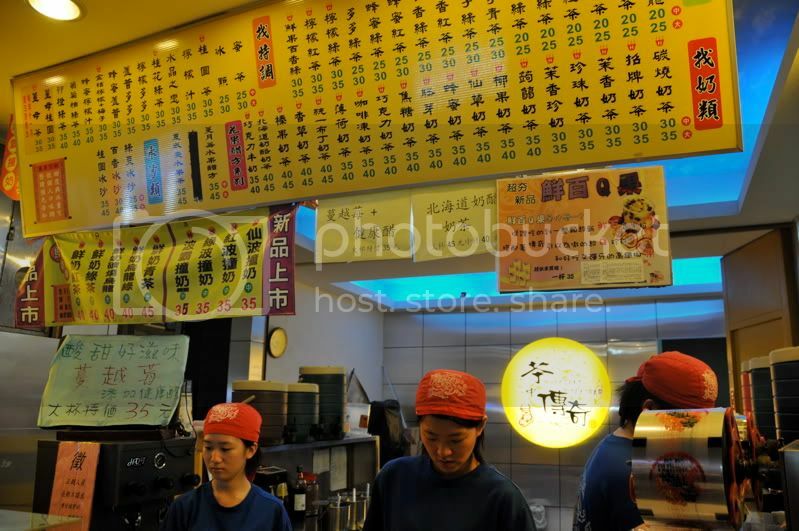 she prepared my dipping sauce for me, handed me a laminated piece of paper with detailed instructions on how to eat the dumplings, and after a while, i was transported to dumpling heaven. 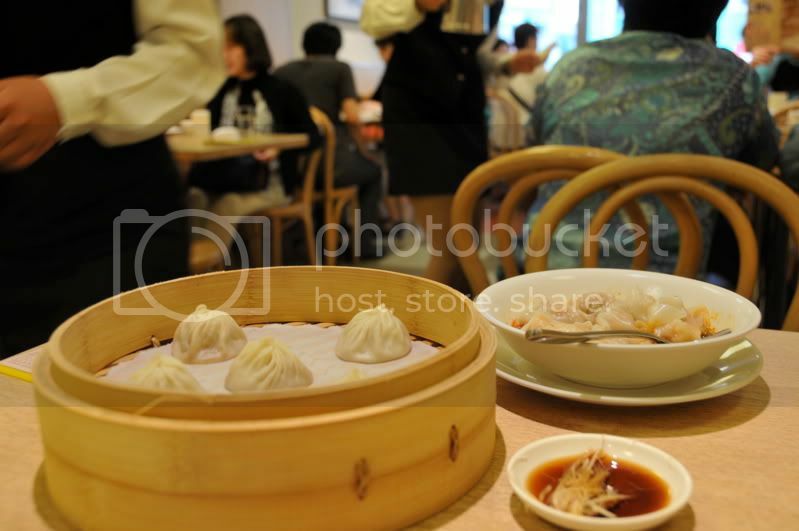 anyone who goes to taipei should eat xiao long bao at din tai fung. i wanted to cry. it's that good. not surprisingly, it was also very expensive: but i had enough for at least 2 persons. when i carried my take-away to another store, the local girls said that they'd never eaten there because it was too pricey. but they all agreed they'd heard that it was pretty good. when i left the restaurant, there was already a long queue outside. just my luck, i didn't have to wait! i'm not sure if i am going to look at dumplings the same way again after my encounter with din tai fung's xiao long bao. the bar owner (whose bartender mixed me a unique drink that wasn't even on the menu when i asked for the house special) i had mentioned also quizzed me about other things that i'd experienced in taipei. i mentioned going to the night markets. one of the more popular ones is shilin. so he asked what i managed to eat there. i said: i didn't know. i just found long queues and fell in line without knowing what was going to be served. he told me: wow, you're very smart! and i wanted to reply, i know, right? i had a roll of bread with meat stuffing which was baked inside a pot. the rolls were sort of pasted on the inner wall of an iron pot and submerged in high heat. when cooked, the rolls were pried from the interior with a wooden spatula. i also lined up for what turned out to be asparagus (or some other vegetable) wrapped in meat. anyway, taipei's night markets are the most interesting i have seen. maybe it was made more exotic by the fact that i couldn't speak mandarin. the tourist night market near laoshang temple, for example, had a snake alley where potions were sold alongside booths of fortune tellers. if only i had a translator, i would have tried. i also passed by places where there was this stench which was so awful, i had no time to find out what it was. turned out to be stinky tofu. unfortunately, i had no one to challenge me to eat it. had someone goaded me, i would have lined up without thinking. 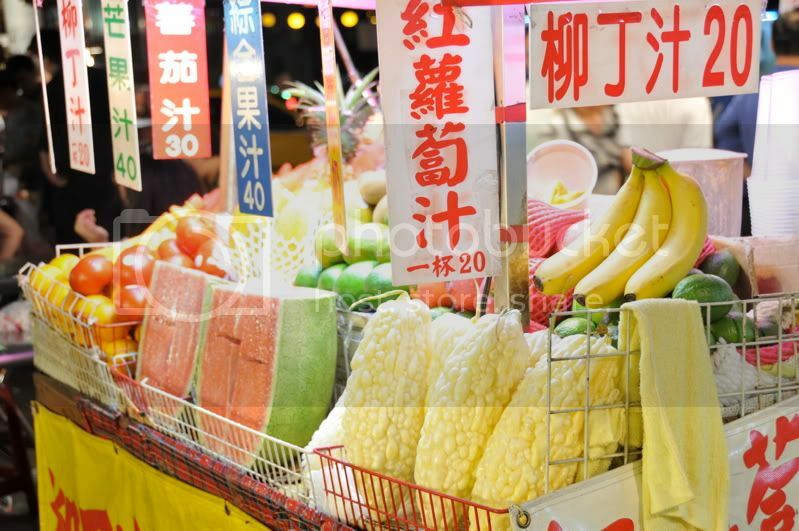 taipei's delights can rival the variety that i have seen in all of my travels across southeast asia, and so far, it has been the most interesting. the potentials could have been better achieved if i had done further research, or if i had a local to show me around and take me to places that have gained fame for their gastronomic offerings. but as it is, my solo adventure also had its rewards. this is just a sampling, and i may have found a place that's worth another visit, sooner or later.